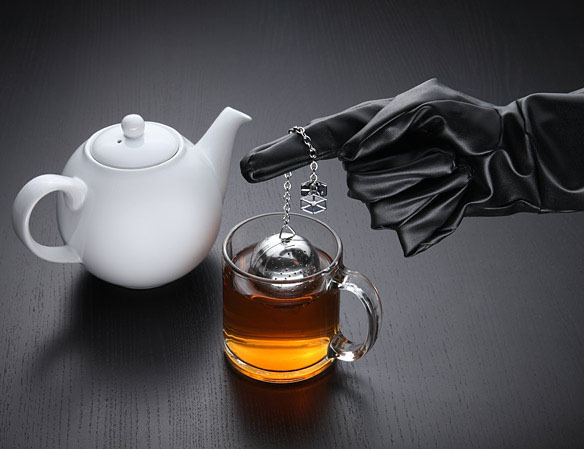 Do you like your tea on the Dark Side? 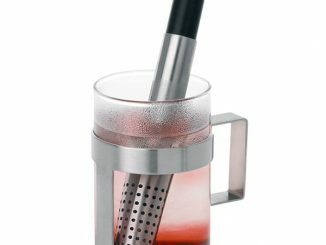 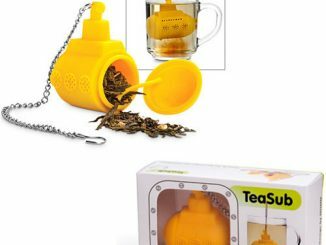 Now you can steep your tea like a Sith Lord from a galaxy far, far away with the Star Wars Death Star Tea Infuser. 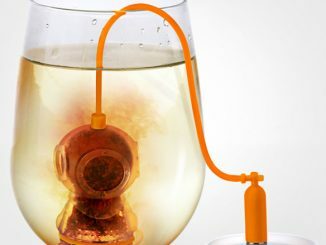 Steep your tea with the Death Star while you’re contemplating your next plan of attack. 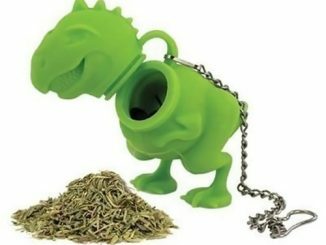 Surely that’s what Vader would have done. 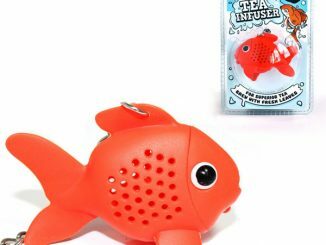 But he probably preferred ice tea after his little incident with Obi-Wan and the hot lava. 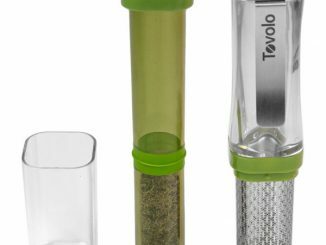 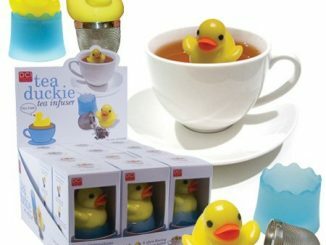 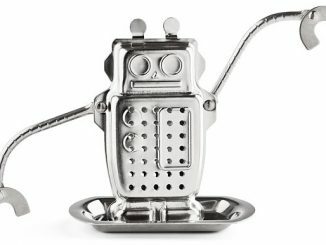 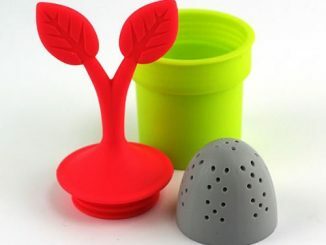 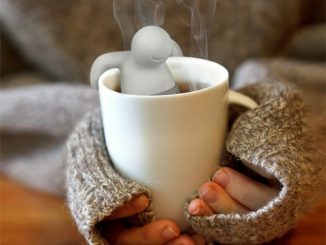 The infuser is dishwasher safe and low maintenance, and is perfectly designed to prevent tea leaves and tips from sneaking into outer space. 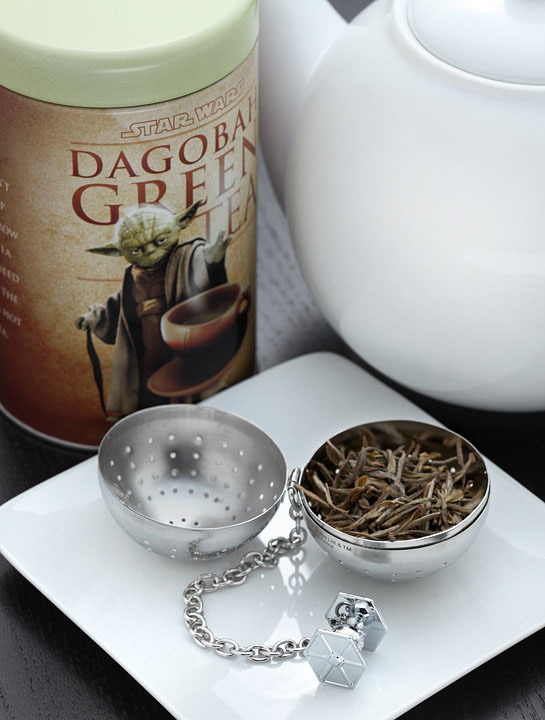 Simply open up the Death Star, add your favorite tea such as Yoda’s healthy Dagobah Green Tea (ok, maybe gunpowder tea), close it tightly, and you’re steamy cup of tea is minutes from ready. 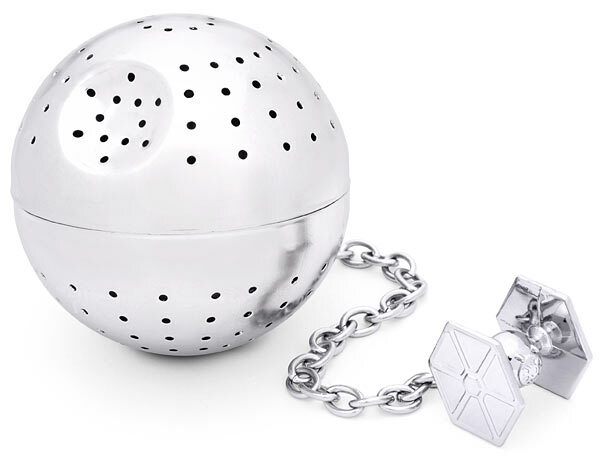 You don’t have to worry about the Death Star getting lost in your cup, because the infuser includes an ornate stainless steel TIE fighter charm that is meant to dangle over the rim for quick manual retrieval. 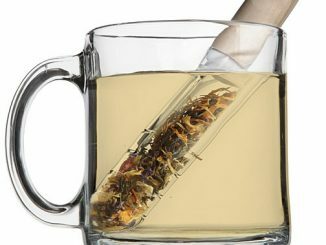 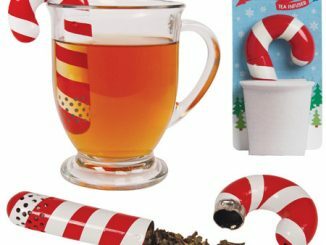 The Star Wars Death Star Tea Infuser can be found at ThinkGeek.com for $19.99.